Track My Calls is a Marketing company that specialises in acquiring quality customers with a clear return on investment. Traffic – we guarantee to increase your customers. 100% Money Back Guarantee. Split Test – we analyse every part of your customers buying experience to help you make informed business decisions that increase sales. ..no more guessing what to do next! ROI – this is the part we enjoy. You will see instantly why 20% of your customers make 80% of your profits. When you partner with us, you will get a dedicated marketing professional as your point of contact, who wants to understand and grow your business. …isn’t that refreshing? Andrew is the man you come to with challenges too great for any other to conquer. After 19 years in marketing & 14 years focused on digital, he has an unmatched understanding of the digital ecosystem. Andrew is at his best when analysing mountains of data in Google Ads, always finding ways to make campaigns more efficient. His strong analytical mind enables him to streamline complex tasks with unparalleled sophistication and automation. Since discovering his passion for computers early in life, Vic has remained obsessed with all forms of digital optimisation. 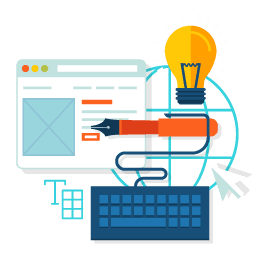 Whether it be SEO, Google Ads or User Experience design, Vic will provide clients with the best possible return for their marketing dollar. Always humble and eager to help, Vic speaks to business owners in terms they understand, reporting on progress in a way which demystifies digital marketing and focuses on results. Jacob brings a wealth of experience to the table after 5 years of bending Facebook's algorithm to his will. Jacob uses his degree in Psychology to burrow into the minds of his target consumer, priding himself on deeply understanding their point-of-view & pain points. His focus on consumer psychology will see him fuss over every word in an ad in an attempt to craft campaigns that truly resonate with and engage audiences. Donna is in charge of managing the complexities that comes with maintaining our partners, each with very different and specific requirements. Donna is charged with keeping our business in tip top shape.